Reel Talk Online: JACKIE: Can a Cinematic Portrait Really Do Its Subject Justice When It Only Captures a Singular Moment? JACKIE: Can a Cinematic Portrait Really Do Its Subject Justice When It Only Captures a Singular Moment? Ladies and gents, we seem to be living in an era of the non-biopic. And I'm not exactly sure how to feel about that. On the one hand, I am okay with Hollywood taking liberties with true-life stories. Not every biography is worthy of a big screen movie, and yes, some of them need to be enhanced to make them worth our while. I'm fine with that. But what I'm not okay with are films presented as character biopics when they really just capture said character in the midst of a singular crisis--painting neither an authentic characterization nor a thorough one. Which brings me to the most recent egregious perpetrator, Pablo Larraín's JACKIE. 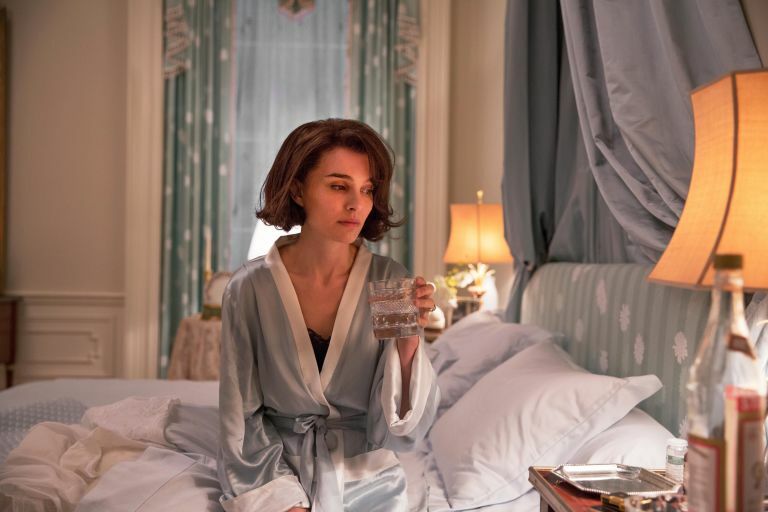 A movie that is as brilliant as it is frustrating, JACKIE portrays one of the most revered First Ladies in American history, Jacqueline Kennedy, but strictly at the moment that she's navigating the aftermath of her husband John F. Kennedy's assassination. Don't get me wrong: Natalie Portman delivers a fabulous performance that exudes a blend of poise and despair--two things most of consider when we think of Jackie, particularly in the midst of what is considered one of the most significant American political stories on record. And together with Peter Saarsgard's equally explosive portrayal of Bobby Kennedy, we get a glimpse of White House drama that uncovers how both Bobby and Jackie felt on John's decisions on civil rights and the Cuban Missile Crisis (the latter which he "may or may not have made up in order to give himself something to solve"). But throughout the whole film I couldn't help but wonder who Jackie really was. You know, the real Jackie. I'd imagine that whatever her actual character was was exacerbated by the horrible tragedy that enveloped her--which propels this entire narrative. But then, why call it Jackie? Why not something that more accurately encapsulates what we're actually talking about here? 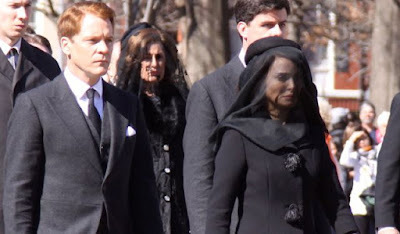 And never mind the fact that we now have a movie that supposedly reveals the real Jackie Kennedy but only through the gaze of her husband's death. That seems like cheating to me. I still have as many questions about her now that I did before I saw the film. But the film does a very interesting thing in which it thoughtfully suggests that everything we think we know about Jackie is only on account on what she presented to us. Juxtaposing the events surrounding the assassination with a more current press interview she had with a journalist (Billy Crudup) hoping for an in-depth profile, we see a slightly more intimate portrayal that shows her actually crying, talking about her first two children who died very young, and -gasp!-smoking. But then she retracts each of these action and statements, striking them from his record and our perception. So, I don't really know who Jackie was. And Noah Oppenheim's (The Maze Runner, Allegiant) screenplay is at once frustrating as it is deliberately coy. This is a woman who seemingly took great pains to not only protect her own image but also preserve her husband's image. And even then the latter eclipses her own profile. She basically becomes known for her strength surrounding her husband's death and her efforts to retain his legacy. That's still not a real profile of her. 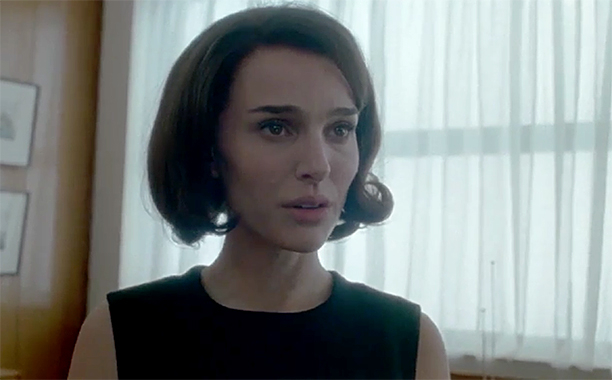 At the core of this relentlessly mysterious and controlled portrait lies two great performances that are exceptional for opposite reasons: Portman's performance has just the right level of coy and intelligence that is absolutely spellbinding. And Saarsgaard's performance is a startlingly cold, arrogant, and calculated depiction that leaves you wanting more. (Not to mention, Greta Gerwig's sobering turn as Jackie's Social Secretary, Nancy Tuckerman, is a welcome surprise from an actress we're used to seeing in more flighty roles). While Larraín's Neruda is a more inspired political portrait (though also not without its flaws), I'm sure the American iconography of JACKIE will prevail when award season really revs up. We'll have to wait and see. JACKIE is in select theaters Friday, December 2.